The Royal Solomon Islands Police Force (RSIPF) explains that it had to intercept 29 Bougainvilleans travelling in three boats at sea near Vella la Vella Island in the Western Province on 20 February because it had information that the group might pose a security risk to local communities. Police intelligence indicated that the men were allegedly travelling to Gizo and Noro to demand compensation following the death of a relative in Noro town in early February. There were concerns that if demands for compensation were not met, then community safety could be at risk. There was also intelligence that the men could be armed, which presented a high risk, requiring the involvement of the Police Response Team and Maritime Officers to intercept the boats at sea. The men were detained at the Gizo Police Station on the night of 20 February while police and immigration officers made checks on their immigration status. Early on 21 February the men escaped from custody at Gizo Police Station. Following negotiations between the Police, the Western Provincial Government and a chief representing the men, nine of the Bougainvilleans have since surrendered themselves up to 24 February. The nine men have been interviewed and processed by police and immigration officers and assisted back to their side of the common Solomon Islands-Papua New Guinea border. “The RSIPF intercepted the 29 Bougainvilleans for good reasons. We had reason to believe that if we did not intercept them before they reached Gizo, there was a possibility that they could have posed a threat to our people. The police did not want that to happen so we intercepted them and took them to the Gizo Police Station,” says Police Commissioner, Matthew Varley. “We however believe that the community leaders of the Shortland Islands and Bougainville will not want any fallout from the events of the past week to affect their people and will work out in their own way how to stop anything happening,” says Commissioner Varley. 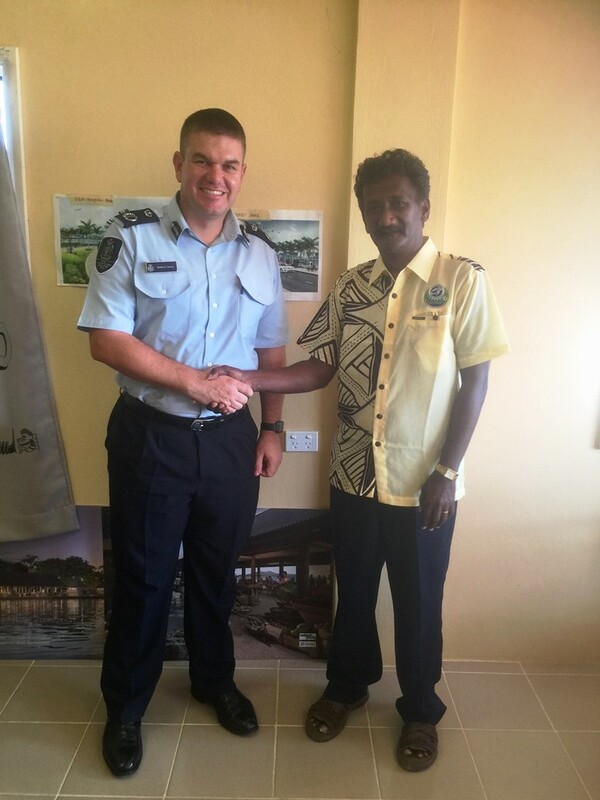 The RSIPF will continue to maintain a high visibility presence in Gizo and surrounding islands over the coming days. Police will also continue to investigate the lapse in security which led to the escape of the men from Gizo Police Station in the morning of 21 February. Furthermore police are investigating if any persons harboured and assisted the remainder of the escaped men to get back to Bougainville. It is unlawful to harbour and assist anyone who has escaped from the legal custody of police.